TheMetalBikini.com- X-Wing Miniatures and more: 20,000 Pageviews on TheMetalBikini.com! If you remember, it took about six weeks, give or take, for the site to accumulate 10,000 pageviews. It only took us 16 days to get 10,000 more. I didn't get the 20k screenshot clean yesterday. 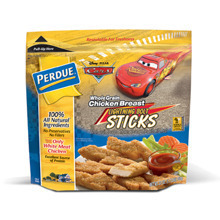 It must have happened sometime between me cooking up some Lightning McQueen lightning bolt chicken sticks for my oldest and giving my youngest his bottle. Got close- only one pageview off, but not quite right on it. Ah well. Once again, I'd like to take a second to thank all of y'all for your continued support. The comments, both good and bad, all serve to keep me honest and on my toes when writing this stuff; continue to push me to make every article as informative and entertaining as I can. Your emails run the gamut from thought provoking, to funny, to simply complimentary, but they're all reflected upon, taken into account, and most of all appreciated. As I thanked Sean and Ben last time we did this, I want to take a second to thank a few of what I call the TMB All-Stars, long-time or otherwise significant TMB supporters, when the topic comes up in conversation with people at work or when I'm talking about the site to my friends and family. I found an email from Jim "heychadwick" Chadwick all the way back on 8 February, which means he has been coming here long enough that anytime I write about a Black Squadron TIE, I always think of him (and dude, I swear- one of these days I'm really going to sit down and look at your campaign rules- I haven't forgotten, just been working too much). Similarly, I think of Patrick Acton anytime I present something that isn't the maxed-out, tournament standard option for a particular card. Those guys have been coming on here from practically the very beginning and while I have no idea who they are or where they're from in real life, I know just about everyday they'll be here reading my stuff. I'm also pretty sure they're friends in real life, but I'm not 100% sure on that. I'd also like to thank Ryan Redman for his continued support. He's been coming around here for quite awhile too and I have a feeling were I ever to make it to the great state of Maine with some X-Wings in my pocket, I'd have no trouble finding a game. I just hope he doesn't live in Derry- I'm not crazy about clowns with balloons to begin with, even less when they're hanging around inside of sewers. 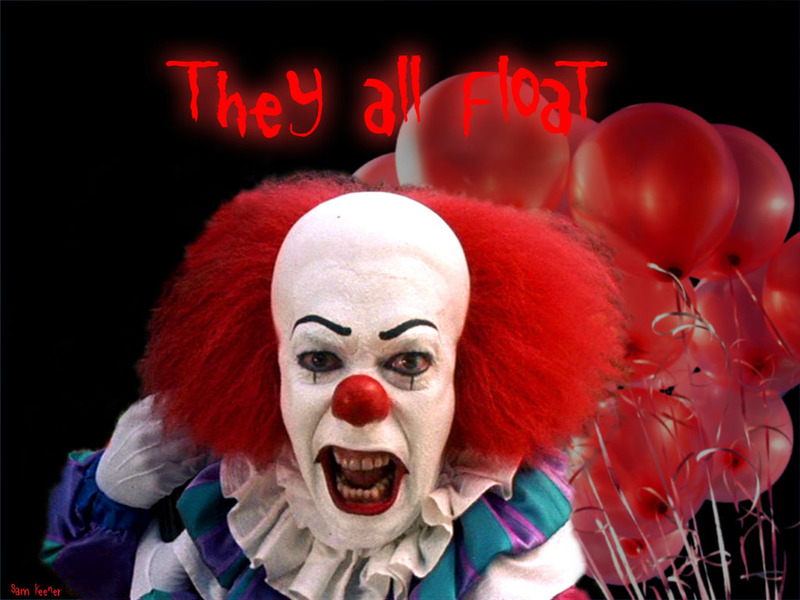 Brief aside, the easiest way to scare my wife by far is to say, "We all float down here" in a creepy voice. Also, I don't know who Wiles01 is, but thanks for getting the site added to the Reddit sidebar for their X-Wing Miniatures section! I don't really understand Reddit (is it like a big messageboard basically? ), but it's pretty cool nonetheless and has resulted in a lot of traffic and readers which is awesome. The first site to ever link back to TheMetalBikini was Darth Meer's The Heralds of Ruin and while I don't remember exactly when that was, dudes, it was a long, long time ago. The sole reason I don't include it on the useful X-Wing links is because it's primarily a 40k painting site and I'm really trying to keep TheMetalBikini X-Wing specific. If you play 40k too, you really oughta check it out though- he's got some interesting campaign rules on there and maybe the best X-Wing Miniatures review I've ever read. Lastly, thanks to Rob Tyo. I don't know if he still comes around here or not, but in the immortal words of Billy Beane, he's a good egg. Rob sent me the first piece of "fan mail" ever. It was that email that made me go, "Y'know, I might be onto something here..." And Rob, I still may take you up on your offer sometime, bro. You just never know. P.S.- Shoutout to James Mattes who posted about TMB on theminiaturespage.com. That mention set the single day pageview record at the time (not to mention, stood for nearly two weeks), and was only eclipsed when the site got added to Reddit. Danke James! Oh hell- almost forgot Robert from Team Covenant. He gave TMB a mention on his blog pretty early on and continues to do so even now with his own Wave 2 discussions. I never thought I'd wish I lived closer to Tulsa, OK, but I'd really like to stop by the Team Covenant store sometime. I don't know if you've checked out their site before, but dude, it's what every game store should aspire to. For one, it looks more like a cafe or a coffee shop than a game store, for two, it's obvious everyone that's part of TC really digs the games they sell. Put it this way, if I ever won the lottery or something and had a chance to open a game store I'd definitely rip off their aesthetic Unquestionably a place I'd like to stop in and visit sometime if I'm ever out that way. So there ya go. I think my youngest just woke up. Gotta go. Happy Easter, y'all! Congrats! And yes, if you ever make it to Maine, you'll have a place to play! As long as you don't mind my Intercepters putting a hurting on ya! I won again last night in a 125 point game. I used Turr Phennir for the first time and after successfully attacking the opponents Falcon at Range 1 with only 1 hull left, I boosted straight into the Falcon so he couldn't attack. I'm thinking I'll use him again (and Soontir Fel). Soontir is easily my favorite and most valuable right now. With Elusiveness and Stealth, he hasn't lost even 1 hull in my last 2 matches. Keep Rocking the blog! You're doing a great job!! Nice job on the win, but be careful- you can't Boost into an overlap situation. It's like Barrel Roll in that regard. Or did you mean you Boosted straight into his path and he bumped you on his turn (which is of course 100% kosher). Fel is rough, boyee. He's kind of like a Garven Dreis with a more controllable card ability. The thing about Dreis that I've found out the hard way on a couple of occasions is if you don't have a shot lined up for him and the enemy doesn't fire on him, his Focus token goes unspent, so at that point you've just overpaid for a PS 6 X-Wing. To put it another way, his ability is dependent on your opponent leaving a ship in his (Dreis, I mean) firing arc and/ or making him roll defense dice. Fel on the other hand, can always choose to execute a stressful maneuver. Well, almost always. Always within the context of every other turn (as you can't pick a stress maneuver if you already have stress), the limitations of the maneuver itself (not having it run you off the board). In any case, he's somewhere between all the 1 Action pilots and a 2 Action pilot like Vader because half the time he can make a stressful maneuver to generate a Focus Token, then use his normal Perform Action step to declare an Action. That's nasty! Especially on a Pilot Skill 9 pilot. Of course, it gets really silly if you give him Push The Limit, but I gotta stop talking or I won't have anything left for Fel's listbuidling article! I boosted into an overlap... my mistake. Thanks for pointing it out to me. Ain't no thang, man. God knows I make mistakes on stuff like that too! Still reading faithfully :). Glad to see tmb going so well! Thanks for the shout out lol. Dig it Rob! Glad to see you're still around, pal! I think TFC is going to be for real this year, btw. 4 points in your first four against the sides you've run up against? I'd take it!